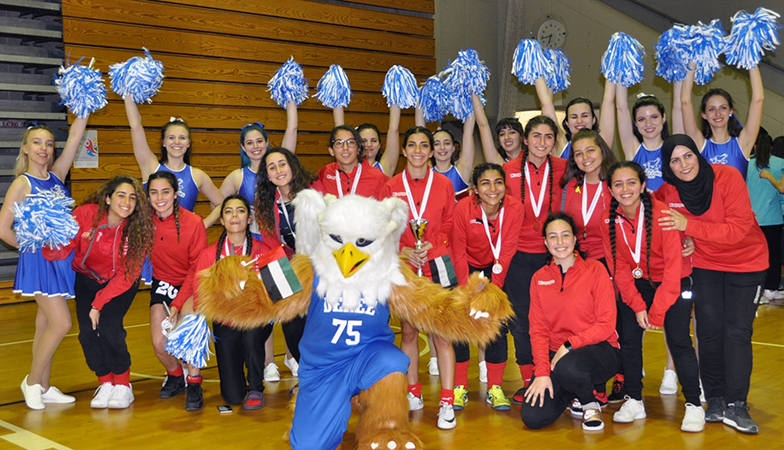 Forty-nine American University of Sharjah (AUS) athletes participated in the American College of Greece (ACG) International Sports Festival from March 27—31. 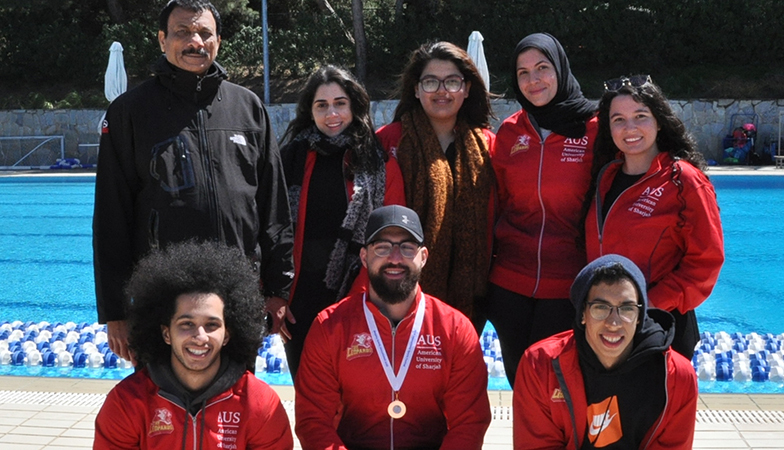 Around 600 athletes, representing 12 universities across different continents, competed in various sports events. 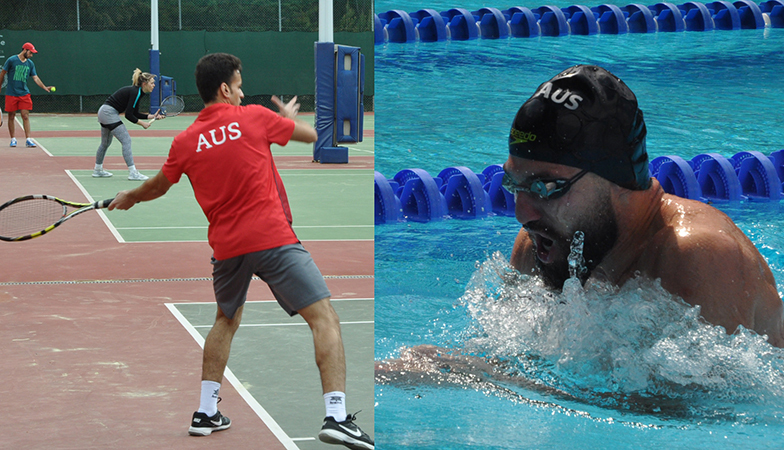 The AUS teams participated in men and women’s soccer, swimming, table tennis and men’s tennis and performed very well. 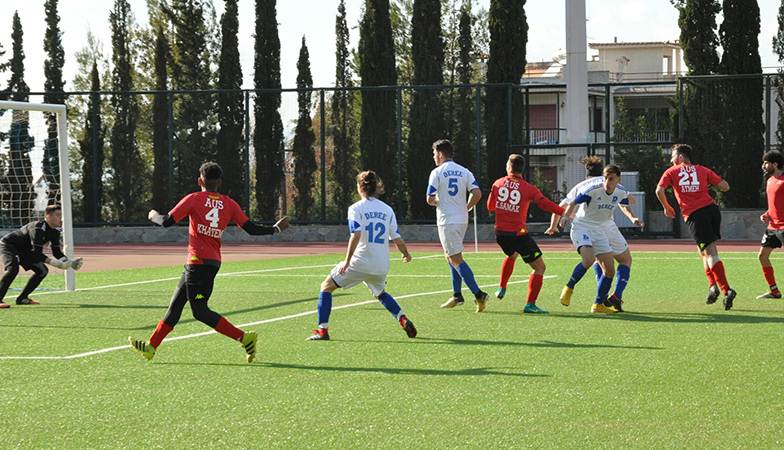 Six teams participated in the men’s soccer tournament. The AUS Leopards fought well in the final match but the combined attack of ACG before their home crowd overwhelmed the AUS team who had to settle with the runners-up trophy at the end. In women’s futsal, AUS did well in their first international appearance and won third place. AUS men’s swimmer, Khaled Abdulghani, secured third place in 100m breast-stroke while Mihails Balonuskovs won third place in men’s table tennis. 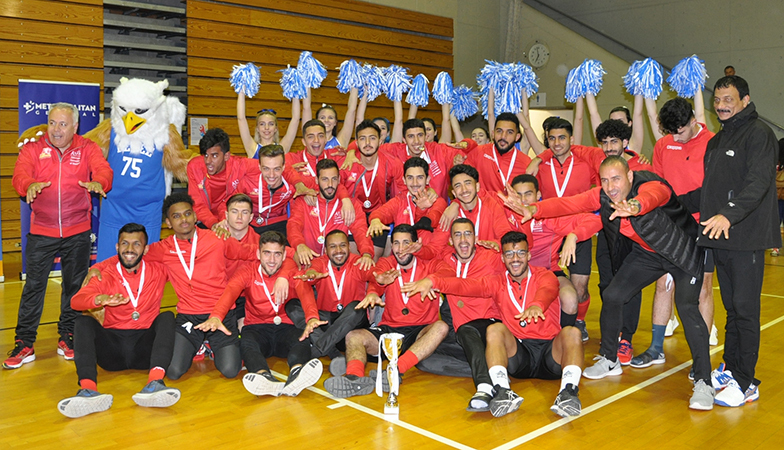 “The trip this year was one of the most successful and enjoyable sports trips we’ve ever had and the competition was one of the toughest with well-known universities participating in the international festival,” said Mohamad Elsayed, captain of the men’s soccer team. 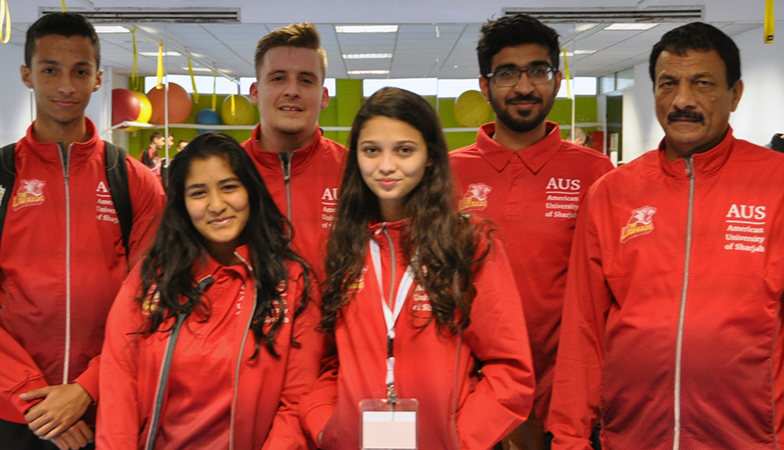 “The sports festival is an excellent opportunity for our students that allows them to not only compete against teams from different countries, but also positively affects their personalities and skills. 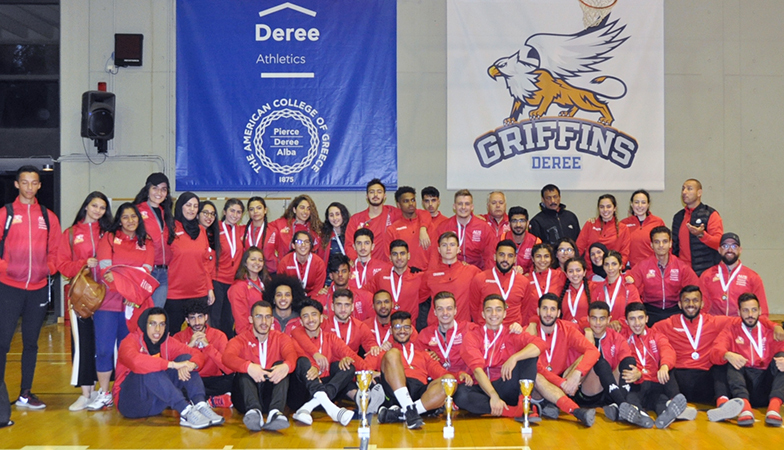 We are proud of all our teams’ achievements, especially the women’s soccer team as it was their first time taking part in an international sports tournament,” said Munketh Taha, Director of Student Development and Organization and Acting Director of Student Athletics and Recreation.